To provide opportunity for the youth of the area to participate in healthy, well organised competition at the most appropriate level to the individual's skill. Predominantly royal blue and white, with gold if applicable. 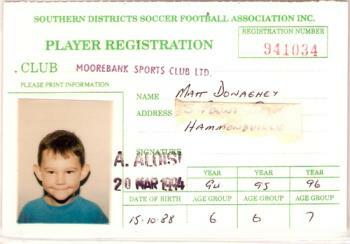 The Moorebank Sports Soccer Club (MSSC) is a member club of the Southern Districts Soccer Football Association (SDSFA). MSSC participates in the competitions run by the SDSFA and is bound by all competition rules and by-laws issued by them. The southern districts area encompasses the Liverpool and Fairfield Council areas and incorporates some 28 member clubs. MSSC is one of the largest clubs within the Association and generally enters teams in all age groups. U5-U11 Boys/Girls - These are mini soccer age groups which play non-competitive, Small Sided Football (SSF) in accordance with the guidelines issued by Football Federation Australia (FFA) and SDSFA Rules. 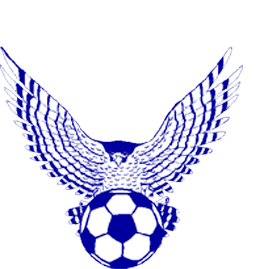 Separate girl’s competitions are run by the SDSFA in the U6, U8, U10 age groups (provided sufficient player and team numbers are available). 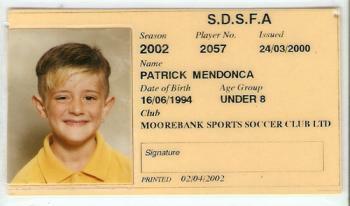 For more information, visit www.miniroos.com.au for details on the format and philosophy of SSF. U12-U16 Boys/Girls – These junior age groups play competitive full-field 11v11 football and players are graded according to their demonstrated level of skill and ability. Separate girl’s competitions are run by the SDSFA in U12, U14 and U16 age groups (provided sufficient player and team numbers are available). U17-All Age Men/Ladies and O35 Men – These senior age groups play competitive full-field 11v11 football and players are generally graded according to skill and ability (mainly U17-U21 and Premier League). Separate ladies competitions are run by the SDSFA for the U18 and All Age age groups (provided sufficient player and team numbers are available). 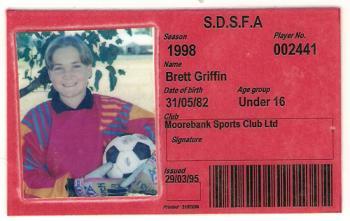 The following video was created to celebrate the 40th Anniversary of the Soccer Club in 2009. 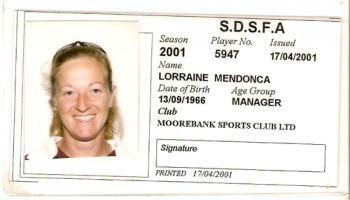 Moorebank Sports Soccer Club Inc. (MSC) has been built upon the dedication and hard work of many parents, friends, players and families over 40 years. Many thanks go out to all of those who have contributed to our club's success over the years; your involvement has been invaluable. Established in October 1969, MSC was initially known as "The Clark Kiln United Soccer & Sports Club". 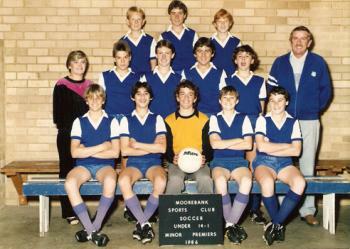 The club catered for the sporting needs of children in the Moorebank, Hammondville, Chipping Norton, Pleasure Point and Sandy Point areas. 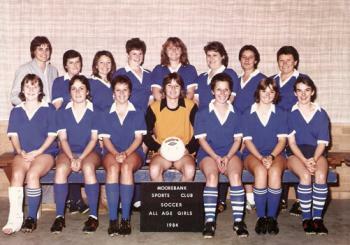 In February 1970 the club's name was changed to Moorebank Sports Club (MSC) and the Department of the Army allowed the club to use the old army parade grounds at Harris Creek. Harris Creek Fields were across the creek from the current Hammondville Park. The club house was an old Nissen hut brought in by the army; its location situated approximately where the railway line is today. Although primitive in comparison to today's club house, during the 1970s film nights were held to raise funds, often attracting a full house. Traditionally, MSC has had very strong ties with the army due to its proximity to Holsworthy Barracks. The Harris Creek grounds and the club house were not the only involvement the army has had with the club. A high percentage of the club's juniors had army parents and many of the seniors in years gone by (and still to this day) were army personnel. In the 1970s, MSC was one of very few clubs with access to grounds in pre-season. 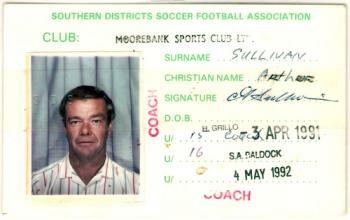 Many clubs such as Sutherland and other clubs from afar would request to play trial games at MSC's home ground. This popularity meant that the Harris Creek grounds were soon outgrown. In 1975 the Club, supported by a petition from 1357 residents, approached Liverpool Council to make available two additional playing fields at Hammondville Park along with a request for the additional 16 hectares between those fields and Harris Creek to be developed as multi-sports grounds. 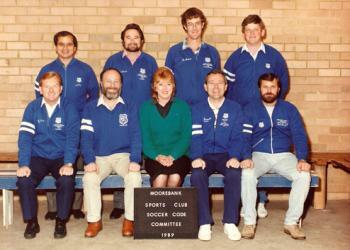 So In 1976, Hammondville Park became the new home of Moorebank Sports Club. Over the next few years, improvements were made to Hammondville Park such as an amenities block, storeroom, canteen and flood lights. Liverpool Council obtained the 16 hectares from the Commonwealth which was transformed into two more soccer fields, three rugby league fields, three cricket pitches and a baseball field. In 1979 a grant of $100,000 was also received from the State Government to improve the fields. The Soccer Code became a separate incorporated body in 2001. 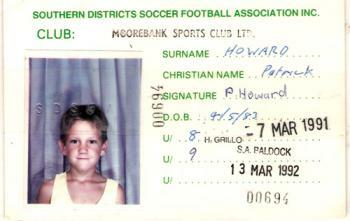 So was born Moorebank Sports Soccer Club Inc. as it is known today. MSC has enjoyed a sustained involvement with the neighbouring community reaching high levels of participation. In 1970, MSC fielded 7 soccer teams and had 98 club members. In 2009, we fielded 24 mini teams, 27 junior and 13 senior teams, a total of 64 teams and almost 800 players in all, paving our way to a stronger future in the greatest game of all for our local community.